Comfortable and cozy apartment with balcony and famous view. The house is in a quiet location in the village of Wenns. On the 1st floor of this newly built house is a spacious and comfortable apartment with 2 bedrooms, kitchen and bathroom. You have your own entrance, so privacy is guaranteed. The apartment is cozy and comfortable. From the balcony you have a magnificent view of the surrounding mountains. For skiing you can go into the family ski resort Hochzeiger with the free ski bus. Good skiers will enjoy the glacier ski area on the end of the famous Pitztal. In summertime a ideal starting point for beautiful walks. Beautifully sited miejscowosc.Cudowne place for people who value peace. 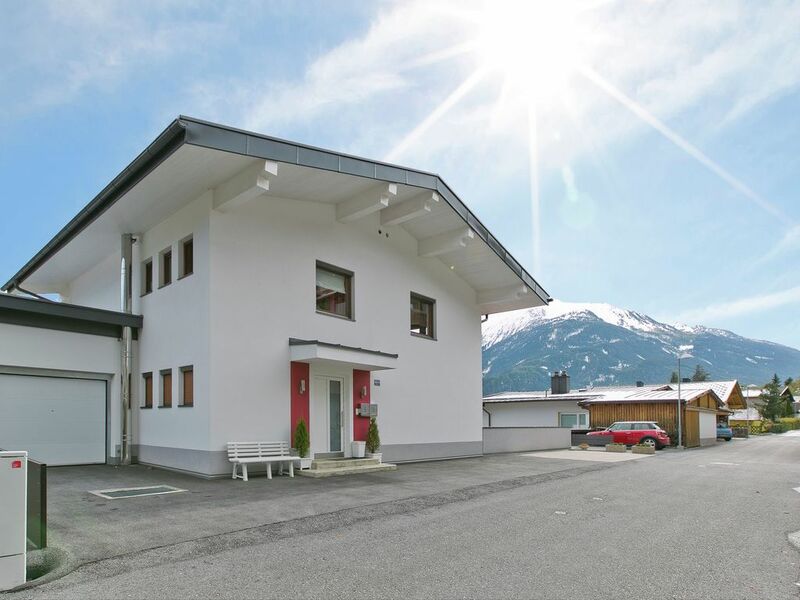 Good base for both hiking in the mountains, as well as for those visiting Innsbruck. Proximity to a water park Area 47 is an advantage, especially on hot days. Thunder the nature. The friendly and helpful host. Apartment was clean and fresh. Owner very friendly. about 15 minutes by car to the track to do very well. Very quietly, quiet but not far from the attractions of the valley, is also a starting point for excursions. L 'apartment is on the second floor, very clean and well furnished, has a balcony that overlooks the valley (beautiful view). The owners are very kind and speak a little "in Italian, which is sufficient to understand each other. Haus in toller Lage, hervorragender Blick ins Tal und auf den Hoch- und Sechszeiger. Vermieter freundlich und hilfsbereit. Die Zimmer sind sauber und wie beschrieben. Von außen wirkt das Haus topmodern, die Ausstattung ist jedoch bereits teilweise etwas in die Jahre gekommen. Zusammen ein gelungener Urlaub, wir würden dort erneut Urlaub machen.